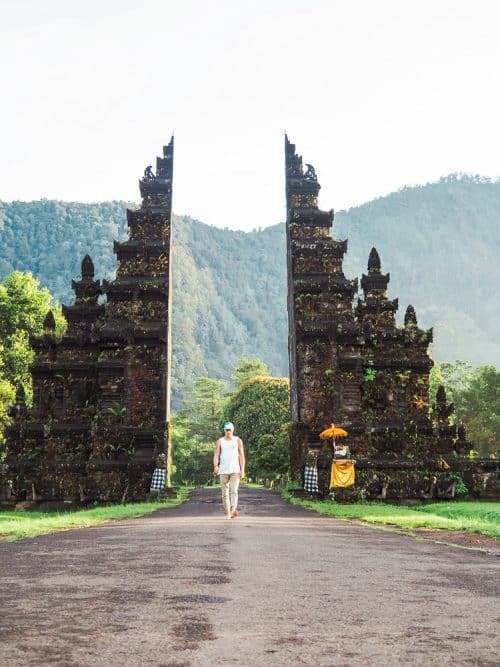 The Iconic Bali Gates at Handara Golf Resort Bali is the most Instagrammed spot on the island. 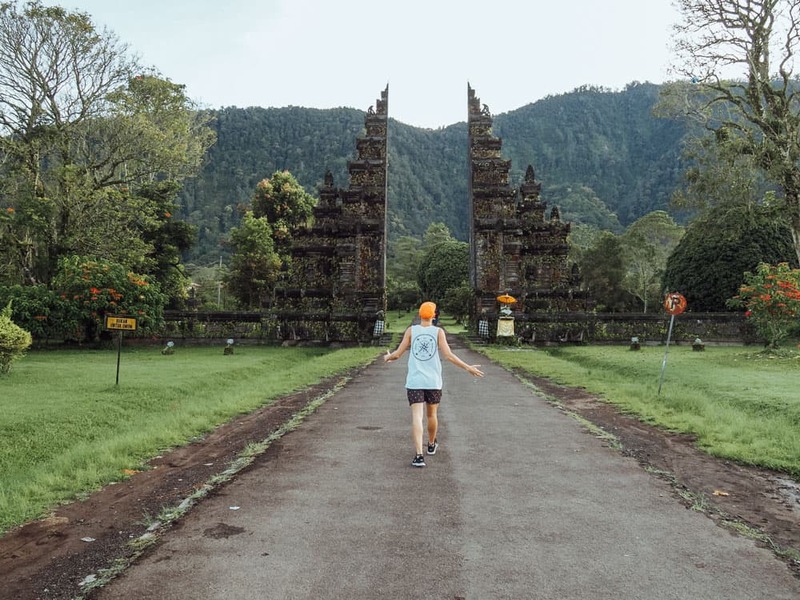 There are many iconic places such as the Bali Gates, all over the region, that have recently become very popular locations for tourists and locals to visit because of their massive exposure on the social media platform Instagram. 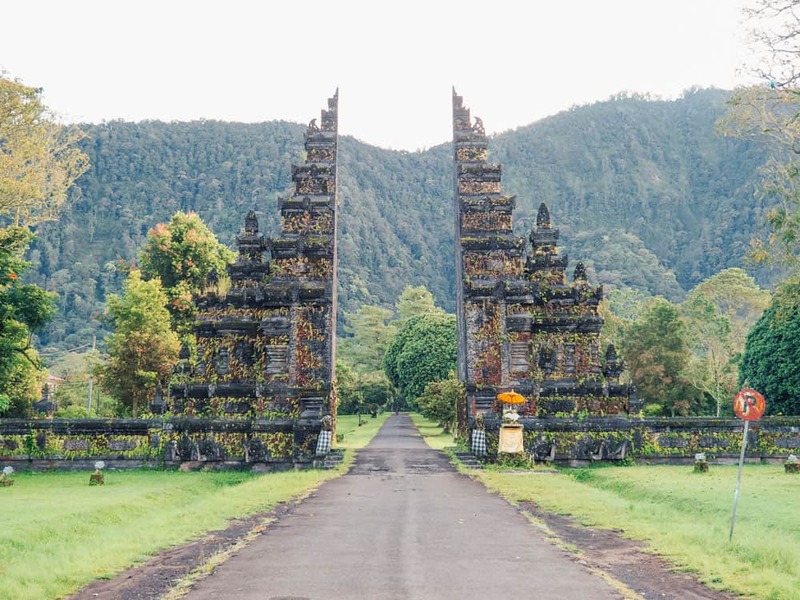 The Bali Gates can be found at the entrance to the Handara Golf & Resort Bali located in the village of Bedugul. The journey time from Denpasar to the Bali Gates is around 1.5 hours drive. If you are heading out to this location on a scooter I would advise you to dress as warm as possible as it gets very cold in the Bedugul Region. My friends and I left Canggu at 5 am to watch the sunrise from the Strawberry Hill viewpoint, which is on the way to the Bali Gates at Handara Golf Resort Bali. The sun rises behind Mt Agung and Mt Batur in the far distance of the island. From this viewpoint, the drive is only another 10 minutes down the mountain range and into the village of Bedugul. 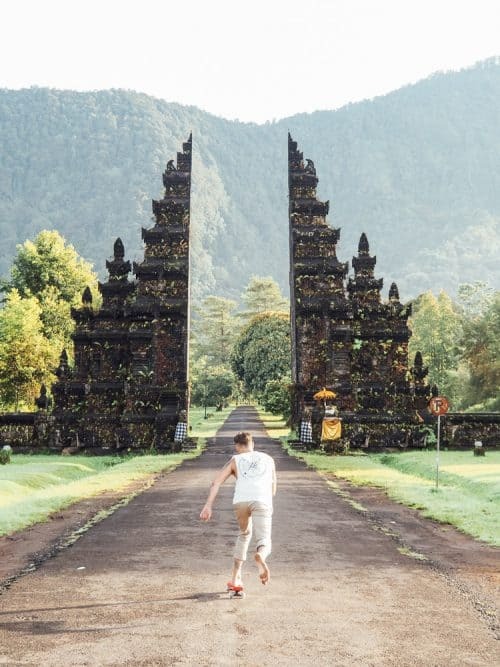 By the time you get to the Bali gates, it will be perfect lighting to get some great photos. 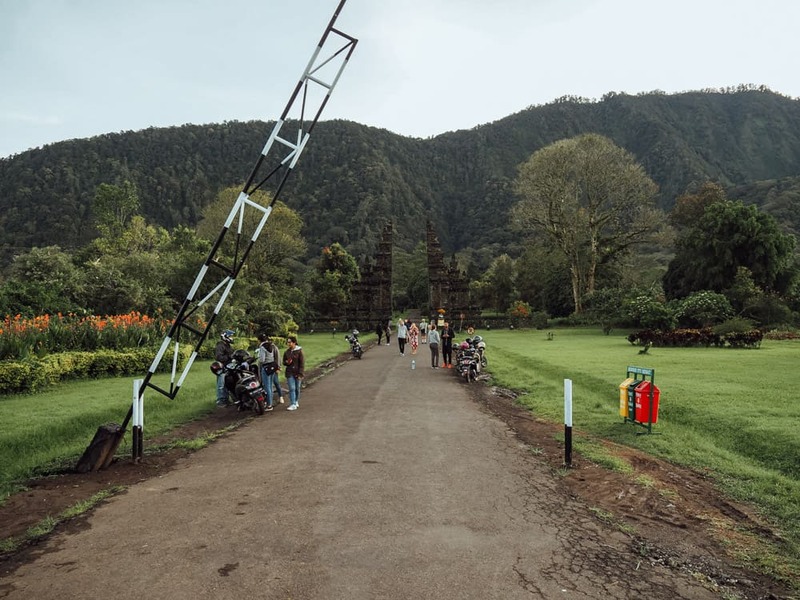 The turnoff for the Bali Gates can be easily missed so keep an eye out for the Handara Golf Resort Bali sign which will be on the right-hand side of the road. See the images below. 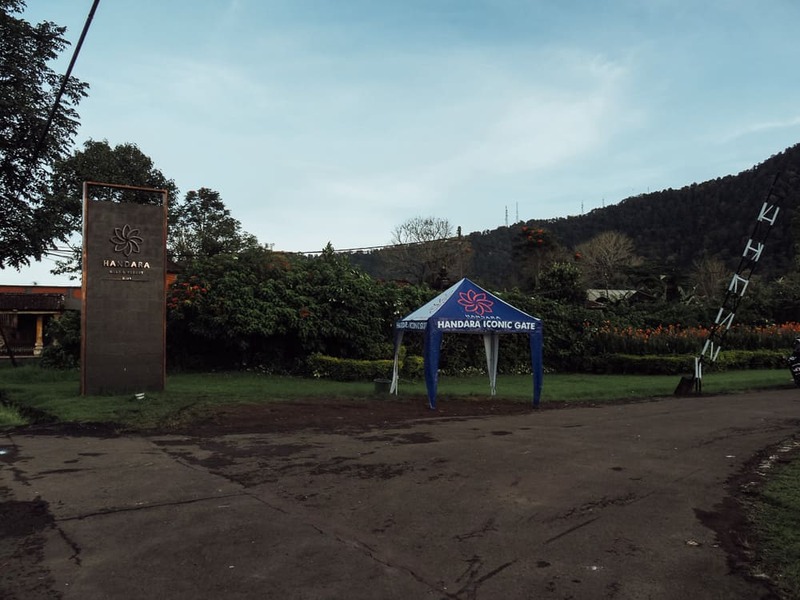 If you arrive early enough, like we did at 7 am, you can avoid paying the entrance fee which is usually 20,000 Rupiah. 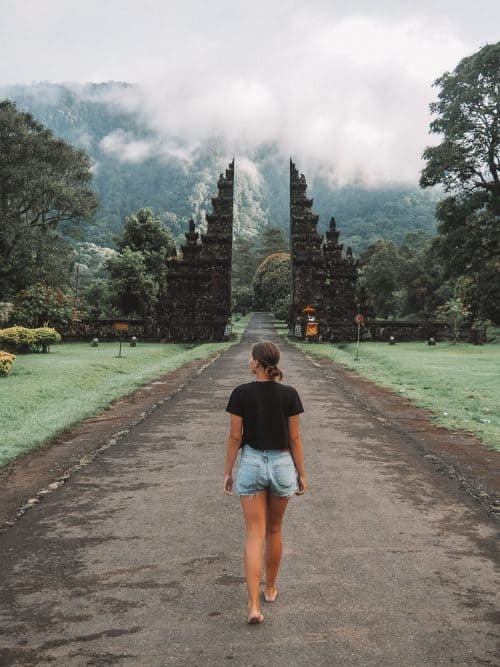 I visited the Bali Gates last year in December and there was no ticket office or boom gate for the Iconic Bali Gates at Handara Golf & Resort Bali. This proves how popular these locations are becoming because of Instagram. Don’t be scared off by the number of people you might encounter, because it is quick and easy to capture a good photo and once you’ve got the shot you can move out of the way for others to step in. 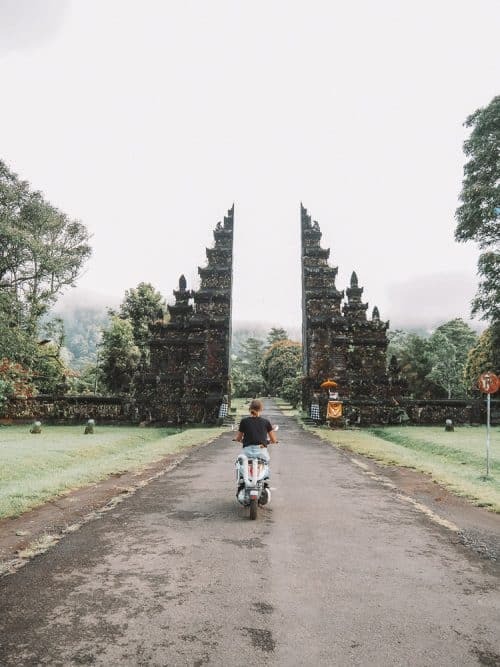 There are a number of accommodation options in the Bedugul, a town nearby to the Bali Gates if you wish to spend a couple of days exploring the area. To search for all other places to stay in Bedugul, Click Here. I hope you enjoyed reading this article and if you have any questions about the Bali Gates please leave a comment below.